This album contains twenty-four 40-minute CD lessons on the Apocalypse. 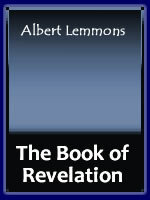 The book of Revelation was written by St. John near the end of the first century A.D. This is not the usual “take” on biblical eschatology. This is an in-depth study of integrating the sermons of Hebrew prophets 500-700 years before Christ and allowing the Holy Spirit to interpret or “spin” in keeping with the judgment sermon of Jesus recorded in the Synoptics (Matt. 24, Mark 13, Luke 21:5ff). The literal terms used by the prophets are often given a spiritual meaning by the Holy Spirit. John begins and ends his book by insisting first century inclusion in the final unfolding of God’s planet called earth. Feel free to ask relevant questions as you proceed through this unusual study. A free seventy-three page set of notes accompany this series.